The 29-year-old man was just one of the 28 drivers pulled over in three hours during RNC radar patrol Tuesday. 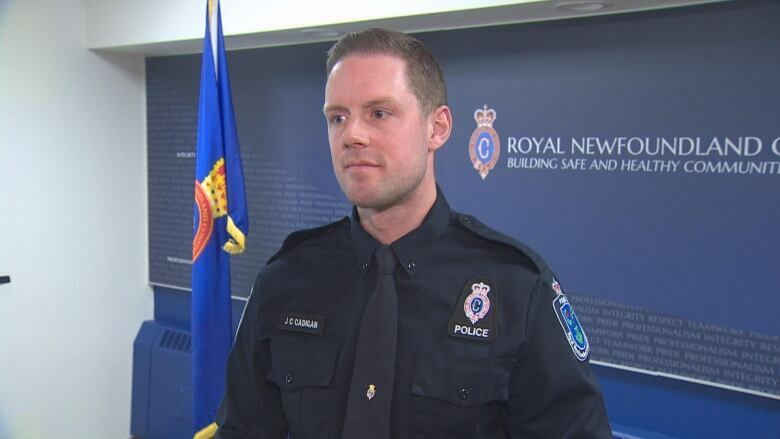 A driver in St. John's had his vehicle seized after being caught going 157 km/h on the highway, and police are reminding drivers that excessive speeding is dangerous for everyone. The Royal Newfoundland Constabulary traffic patrol was running laser radar on the Outer Ring Road, near Allandale Road, Tuesday afternoon. One driver was clocked going 57 kilometres over the speed limit. "This time of year, reduced visibility, slippery road conditions, we just want to really hit home that travelling at those rates of speed is simply hazardous," said RNC Const. James Cadigan. "It's a situation where you're really gonna be taken to task," he said. "You're losing the privilege to drive your vehicle for seven days and your vehicle is going to be impounded." The 29-year-old man behind the wheel had his licence suspended for a week and was given a speeding ticket, in addition to having his vehicle seized by police. That driver was just one of the 28 pulled over during the RNC's traffic patrol on Tuesday. "The goal, of course, is reduce speed, keep roadways safe, just limit aggressive driving and reduce collisions," Cadigan told CBC's St. John's Morning Show. "I read your tweet earlier in response, saying, what is up with drivers on the Outer Ring Road? And you hit the nail on the head," said Cadigan. Cadigan said police want drivers to take extra care in winter conditions. "We really encourage everybody operating motor vehicles, take your time, clear off your vehicle, make sure you've got full visibility," he said.